S0. Apparently sweet tea tiramisu is a thing and I just never knew about it. That makes sense though since I sort of live in a hole anyway, don’t have a TV and spend my afternoons talking to my cat about real life issues such as how creepy the little bones in the tins of salmon are, shattering my iphone screen for the second time and finding a dead mouse in my BEDROOM a few days ago. <—true story. I screamed like a four year old girl and then called my neighbor to come clean it up for me while I held onto a roll of paper towels for dear life. Yes, I’m that girl. Bugs, I can handle. Spiders? Meh..don’t like ’em but I can deal with it. Mice?? That’s a whole other ballgame. Hold me. What? Talking about dead mice and tiramisu in the same breath doesn’t make you drool? Weird. Back to the tiramisu. Sweet.tea.tiramisu: totally a thing. Practically the best thing ever. 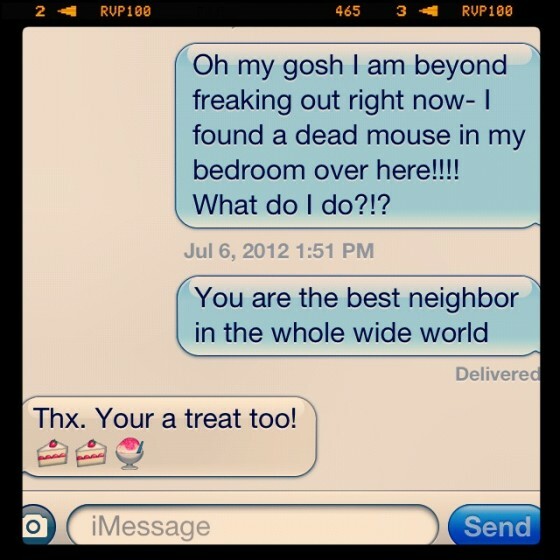 And yes, I paid my neighbor in tiramisu for her dead-mouse-cleaning kindness. It’s simple. Just replace the coffee with strong (extra sweet!) tea. I like to add a fluffy mound of whipped cream on top to finish it off and make mine in a cake pan rather than a square dish ’cause it’s just so darn pretty that way. MAN, was it ever delicious. As a misplaced Southern gal, I’m pretty partial to sweet tea and just loved the twist on this classic dessert. Plus, it was so easy to make. Seriously, it only took about 15 minutes to assemble and then I just stuck in the fridge overnight to chill and set. You can definitely taste the tea but it’s not overpowering….it’s just really, really, really delicious. Perfect for a baby or bridal shower…or just a random Wednesday night. You choose. Oh! And I used that new fangeled “cold brew” tea from Lipton. It really worked well! I’ll tell you what though, one sip of sweet iced Lipton tea takes me right back to my old sorority house at the University of Alabama. Those folks know how to make sweet tea! So much sugar it makes your teeth ache, but totally worth the pain and sugar high (and crash, later). Yum. Enjoy this one, guys! It’s pure love on a plate. Place the tea bag in the water. Stir in the granulated sugar (keep stirring until sugar dissolves). Let tea brew for 10-15 minutes. Beat together the mascarpone cheese with the powdered sugar and vanilla extract until creamy. In another bowl, whip two cups of the cream into soft peaks and then add the marscapone cheese mixture. Whip until combined (but don’t over-mix it!). Set aside, reserving the remaining two cups of cream in the fridge. Remove the tea bag from the tea. Line either an 8″ square dish or a 9″ cake pan with ladyfingers. Pour about 1/4 cup tea over ladyfingers. Then, smooth on half of the marscapone cheese mixture (do the best you can, it might be a bit stiff). Top with another layer of ladyfingers. Pour more tea over top then smear the remaining cheese mixture. Top with a final layer of ladyfingers and the rest of the tea. 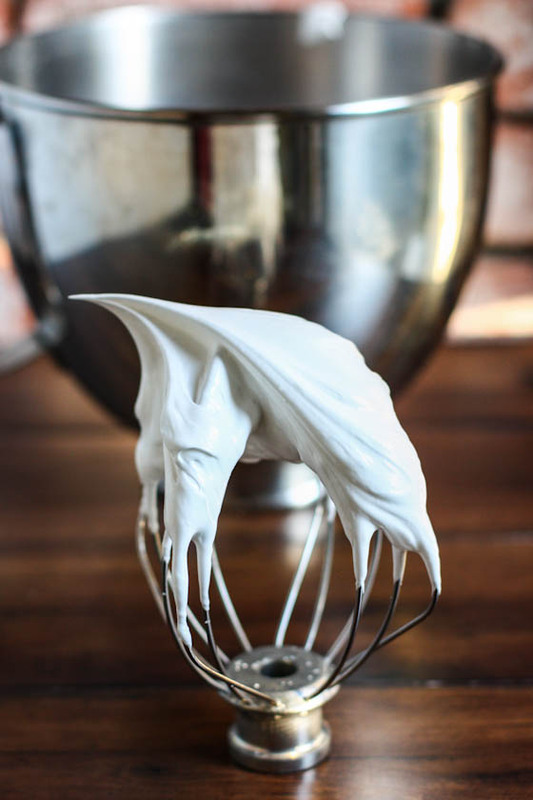 Remove reserved cream from the fridge and whip until soft peaks form. Spread whipped cream over top of the tiramisu, cover lightly in plastic wrap and set in the fridge for 8-12 hours. Right before serving, dust with cocoa and slice into squares. Sundays Are Not Long Enough! Pulled Pork Tuesday…coming right up! Oh no, was the dead mouse a present from Dexter? 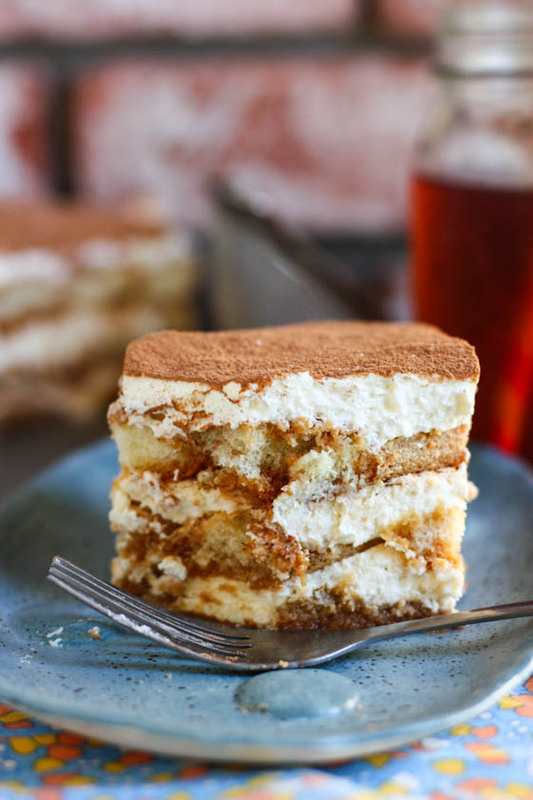 I had never heard of sweet tea tiramisu until now, but it sounds incredible!! I wonder what else you could soak ladyfingers in, to get a tasty dessert?? Sweet tea and tiramisu? Who knew?! oh my goodness what a gorgeous dessert! I’m pretty sure I would have done the same thing getting rid of the mouse… gives me shivers just thinking about it! I’ve never thought of using anything other than coffee in a tiramisu but this is an ace idea! Never heard of this but you can bet I’m gonna try it! Oooh. I love the Lipton cold brew iced tea! The best part is that it’s ready immediately! This post cracked me up! I’m that girl too haha totally okay. And this tiramisu sounds amazing! 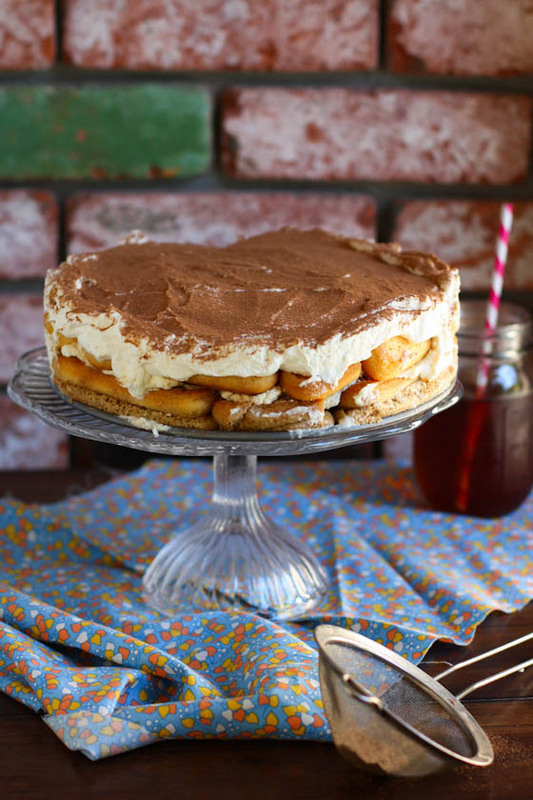 I have never heard of sweet tea tiramisu but this certainly sounds and looks delicious! Mice are no fun, we had a few in the basement at my parents house and the cats kept bringing them upstairs, dead, some alive! I’ve heard of this, but have never made it. Your’s looks divine!I love tiramisu, but I have lots of friends who don’t like coffee, so this would be a great dessert. Thanks for sharing this recipe! I wilt around mice too! Oh my goodness! I’m so making this for IPC lunch dessert! This looks fabulous, Jenna! So going to make this on Friday! Tiramisu is my favorite, but always glad to try variations! 🙂 You rock (and roll). Such an interesting spin on tiramisu! I’d totally be down to try it. wow never heard of this, but i LOVE the thought of it! This sounds delicious! I’m a huge tiramisu fan and this sounds like an incredible update to an old classic – quick too! I’m going to try it asap! Love the idea of using sweet tea! This is gorgeous! Oh man, I’m a southern sweet tea lovin girl and I’ve never heard of this either! This would be TROUBLE. This makes me laugh! I also HATE mice. I can do bugs- no biggie and even snakes if they don’t surprise me- but I just hate mice. Once when I was a in High School I opened the pantry door and I saw a mouse- I screamed- slammed the door- and my Dad came running. He was SO mad at me- he thought I had gotten hurt! Sweet tea tiramisu is news to me also! Sounds delicious! I must really be living in a hole because I thought lady fingers were the same thing as Pirouettes…oops. Oh my boyfriend would be all over this. Anything related to “sweet tea” gets him drooling! He’s definitely a southern boy. A) dead mouse? I’d completely fall apart. B) FEED THIS TO ME. C) I don’t have a c.
Oh my WORD!!! 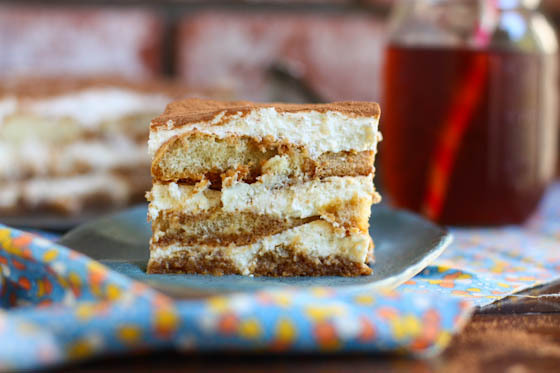 Love tiramisu and sweet tea..this recipe just made my day, and might even make it on my Friday night girl’s group menu. WOW!! 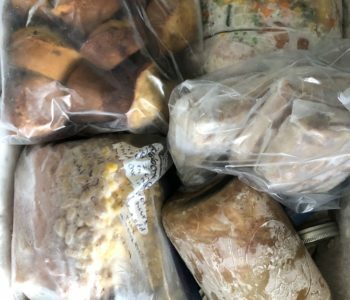 So many recipes to try, so little time! I’m with you on mice….we had to take down our bird feeder because it was attracting the wrong crowd. Eek…disgusting little creatures they are! Sweet tea and tiramisu, two of my husband’s favorite! I will try to make it this weekend! Alabama? For some reason I thought you went to College of Charleston. Also… please tell me you are making a stop in the Lowcountry on your book tour. 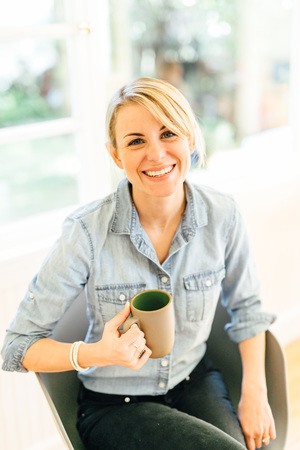 I plan on buying the book, and having you sign it and getting to meet you would be wonderful! I transferred to College of Charleston from Alabama. Omg, I would have been freaking out if I found a dead mouse in my bedroom!!!! You’re lucky you know your neighbors well enough to call them over! This is genius. I love tiramisu but never would have thought of this version! If it makes you feel any better, my big beefy husband stepped a snake in our hard a couple weeks ago while picking strawberries in our yard. He also screamed like a little girl and ran in the house, locking the doors behind him. We all have our things, I guess. Oh, and the tiramisu looks awesome. I did not know that Tiramisu could be better. Love this! Poor thing. Dead mice are no fun….and I would have reacted that same way! I gotta say though…I love your photos in this post. They are beautiful. Are you sure the one Pint of whipping cream is correct? You said to whip 2 cups and and reserve the remaining 2 Cups for whipping later. There is only 2 Cups in one Pint. Mice, I can handle. I had one or two pet mice as a kid! But if I see a spider, I’m not staying in that room. One time I threw up when I came across a dead mouse. It was totally involuntary, but I also thing it was totally warranted. Those things are creeeepy. The tiramisu, however, looks lovely. I’ve been totally into iced tea this summer but sweet tea is just too sweet for me. A sweet tea tiramisu I could get behind though! Thanks for sharing! Love the idea of tea-soaking! I bet it is perfect and that this whole beautiful cake is no bake! BTW, when you go on your book tour, I will be in line w/ the million other women w/ sweaty palms and shaky knees! This looks great! I love Tiramisu!!! This sounds like a perfect summertime dessert! I made your grilled peach and chicken salad last night for dinner and it was delicious! Gotta try this one ASAP! I guess I live under a rock too….hadn’t heard of this sweet treat! I’ve never had or made tiramisu. There’s something wrong with me I think. This looks heavenly. 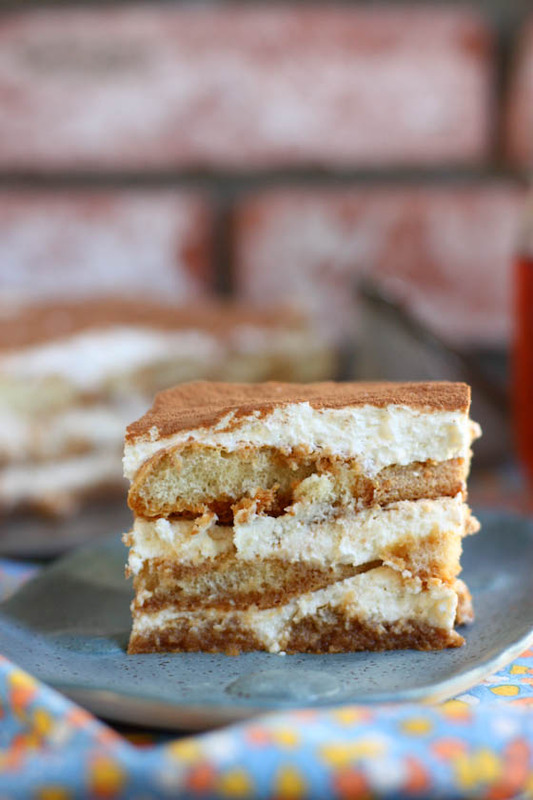 I’m not a big tiramisu person, but adding sweet tea sounds delish! I think I’d be more worried about why the mouse was dead when you found it in the house, unless there was a trap or a cat involved. Sweetie, this could have been the most delectable recipe in the world–but I’ll never know because right after reading about a dead mouse that is now the only thing I will picture when I hear of Sweet Tea Tiramisu! This is one pretty dessert! Yum! I just may make it for my cousins 30th birthday tomorrow, perfect timing. This is an unusual place for this comment, but I couldn’t find anywhere else to ask this, so here goes: Are you a runner? I am just wondering the story behind your title? I am trying to imagine what this would taste like and I just can’t. I guess I will have to make it to be 100% sure of how it actually is. This sounds amazing! Now I’m trying to brainstorm what else you can use instead of coffee! So creative! This sounds amazing!! I’m definitely going to try this! I’m that girl too…so don’t feel so bad. This dessert looks amazing! I never knew it was a “thing” either but I just moved to the south so this might make an appearance at my next potluck. OMG, this looks so deliciously amazing! And I love me some sweet tea…one of these days I’m going to have to try this out! will you please send me a slice of this right now… please please please! 🙂 Looks so darn good! mouth is watering. that whipped cream looks divine! Ha the dead mouse thing is totally me. Snakes, spiders, etc, don’t like but I can deal with. I had a dead bird on my sidewalk for days – every time I tried to pick it up I would just shriek and run away- and kept hoping a neighbor would clean it up. Um, no. Finally I threw a dinner party with the secret intention of getting rid of that dead bird before it decomposed and was all “by the way, could someone throw away that dead bird that you walked by on the way in?” totally worth it. Hi, I’m a new follower to the site! I made this last night because it’s sounded amazing, and we’re going to eat it tonight for my hubby’s birthday. Just one question: the recipe states one PINT (2 cups) of heavy cream in the ingredient list, but the instructions describe using 4 cups of cream (2 cups with the mascarpone and 2 cups for the top layer). So should the ingredients state one QUART (4 cups) instead? Or should we be using 1 cup for each of those steps? 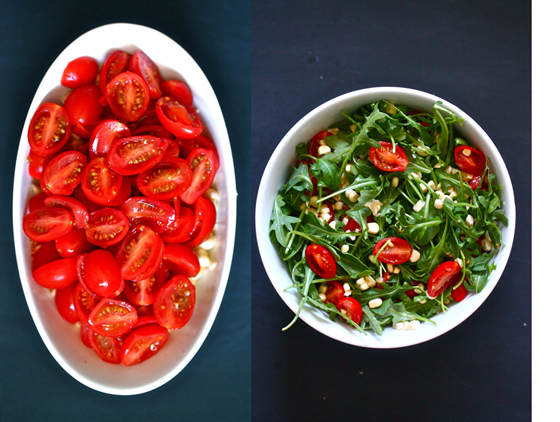 Thanks for your posting your delish recipes!! You’re right—the amount of cream in the directions is right and it should be one quart instead of one pint. I apologize about that! The Newlywed Book Challenge | My five favorite…food blogs! That is a beautiful tiramisu! I always fail in making the cream, have to try your recipe.